Pneumatic cylinder / double-acting / industrial / tie-rod - 701 Series - AirControl Industrial S.L. 701 Series AirControl Industrial S.L. 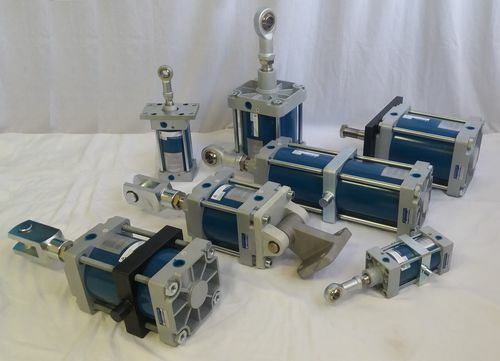 The 701 series from AirControl Industrial, is a pneumatic cylinder that is classified to ISO Cylinders. It complies with the European standard ISO 15552 (previously ISO 6431) and VDMA 24562. The unit is accessible in sizes from 32 to 320 mm. It is also accessible with twofold effect or with magnetic cylinder in extensive variety of standard stroke lengths. The unit can be applied in general industry.